On Wednesday, Facebook’s f8 — a developer’s haven — will return to San Francisco after a three-year absence, this time powered by Parse. In the past, Facebook has used this conference to announce features such as the Open Graph, Facebook Connect (now Facebook Login) and Timeline. Facebook notes that this year’s f8 will be different (though reports show that Facebook will announce a mobile ad network Wednesday), with a strong focus on the developer community. 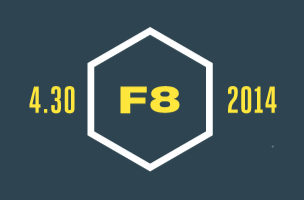 We’re getting back to our roots and reinventing f8 as a conference purely for developers to learn how to use Facebook and Parse to build, grow, and monetize their apps. Let’s take a look back at Facebook has launched or announced at past events. On May 25, Facebook unveiled the “Facebook Platform” at f8 in San Francisco. Dozens of apps were showcased from several launch partners. Breaking from the command-and-control approach to third party widgets employed by others at the time, the Platform allowed deeper integration points than any other API, and allowed anyone to sign up and start developing–and keep all the revenue. Hundreds of developers gathered for an all-day hack-a-thon to kick the tires on the new Platform, and by the end of the year, over 10,000 applications had been launched. The conference returned the next year, as Facebook announced Facebook Connect to the world. This allowed users to log into external apps and sites using their Facebook profile information. By the time the 2008 f8 rolled around, there were 33,000 apps on Facebook platform. Among the launch partners of Facebook Connect: Digg, Six Apart, Citysearch, Amiando, CBS.com, CNET, CollegeHumor, Disney-ABC Television Group, Evite, Flock, Hulu, Kongregate, Loopt, Plaxo, Radar, Red Bull, Seesmic, Socialthing!, StumbleUpon, The Insider, Twitter, Uber, Vimeo and Xobni. We think we’re at a point today where things are going to decentralize quite a bit, and we want to push this forward. We think the best way to do this is to build the core platform, the feed infrastructure, and a variety of communication mechanisms. But we fully expect that in the future less of this is going to happen on Facebook.com and more is going to happen on others’ applications. This year, we’re going to push for parity between what applications inside Facebook can do, and what applications outside Facebook can do. No f8 conference was held. Facebook launched social plugins in 2010, allowing people to Like content on external sites such as CNN, ESPN and IMDB. Facebook also announced Open Graph protocol — a new way of structuring data on the web with semantic markup — and Graph API, which allowed developers to get information on any object in the Facebook graph. In addition to the Like button plugin, Facebook also announced the Activity Stream, Recommendations, Facebook Login and Social Bar plugins. The Like button is the simplest social plugin. No login is required, and it will run in an iframe. Even if you’ve never visited CNN before, you’ll get social context when you visit the site. Now, when users show up to sites that use it, you can see which of your friends like the site, or have engaged with it recently, without the site knowing anything about you. And when users like anything, it automatically gets added to the list of things they like on their profile.